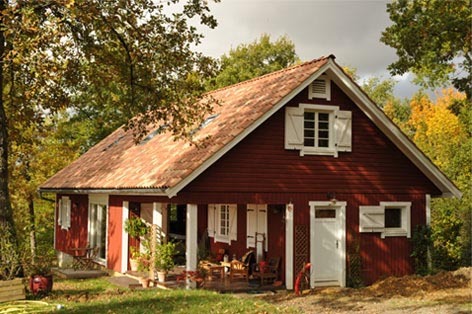 We produce traditional Nordic style timber framed houses of high quality graded wood using a long established technique. Transport and technical assistance at the building site are included in our prices. 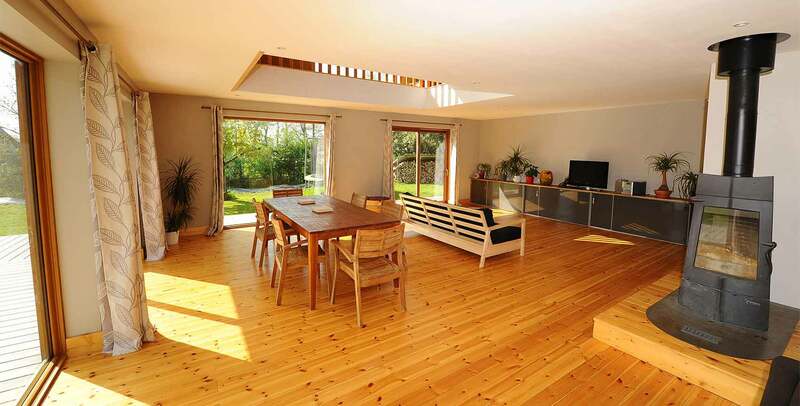 Our timber framed houses are rectangular, with a duo pitch roof. They have either 1 floor or 1½ floors. 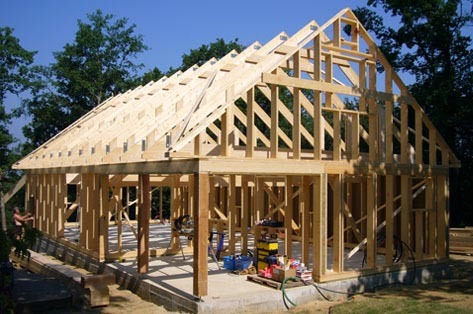 Such a house is easy to build, economical and quick to complete. The favourable ratio between habitable space and exterior area promotes a low energy consumption for heating. With 27 cm (10.6’’) of insulation in the walls (R =7.0) and with 30 cm (11.8‘’) to 40 cm (15.8’’) in the ceilings (R=7.7 – 10.5) , our thermal insulation reaches « Passive House » levels. As the timber framed houses are built without internal bearing walls, the buyer himself decides the positioning of rooms, doors and windows. The wood comes from Swedish Lapland. It is very tight grown, graded according to its mechanical resistance and shaped with Scandinavian precision. The kit arrives directly from Sweden by boat and road to the building site. Delivery is possible to most European countries. Our basic kit contains the wood, wood based board, vapour barrier and assembly supplies for one house. Other options are available. All internal walls and fittings are optional. The kit is delivered with technical assistance for self builders.